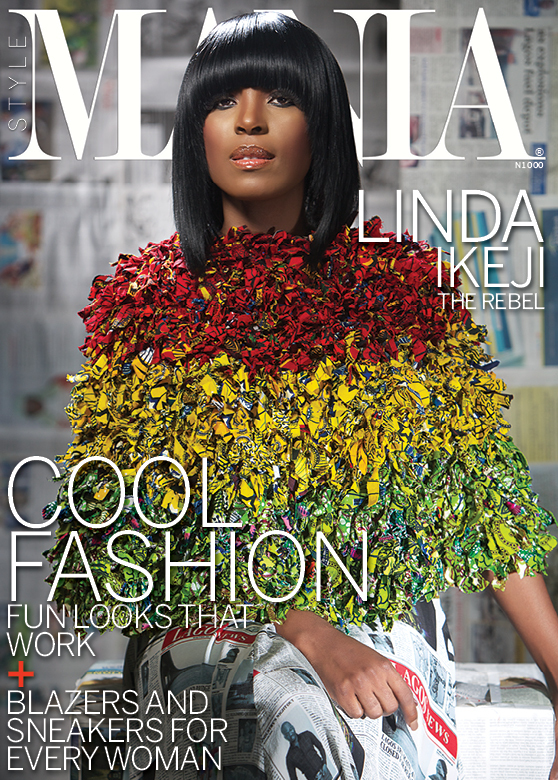 Magazine Covers: Linda Ikeji For Mania (May 2013) Controversial Nigerian blogger Linda Ikeji covers Mania Magazine's May issue. See photos. Decked out in ingenious Ituen Basi pieces and styled by Dimeji Alara, Nigerian Internet entrepreneur Linda Ikeji takes over Mania Magazine’s twin-cover issue for May in photos that hark back to her days as a full-time model. Hate her or love her, it’s impossibly hard to be unimpressed by Kelechi Amadi-Obi’s visual captures of the controversial gossip blogger.